The new Storm 360GT Coastal Shrimp offers anglers a deadly lifelike prawn presentation. Its realistic legs swim and kick on the fall sending out natural vibrations, while the flat bottom design keeps the bait upright when resting on bottom. Combining a segmented body, slotted belly and back slots not only allows for seamless rigging, it also delivers a very natural looking action on the drop and at rest. Suitable for conventional Jig heads or weedless rigs make these prawns a must for any angler, be it in the fresh or saltwater environment. What fish doesn’t eat a prawn? A very easy bait to use, simple lift and drop of the rod tip with a slow wind will see you hooking up in no time. 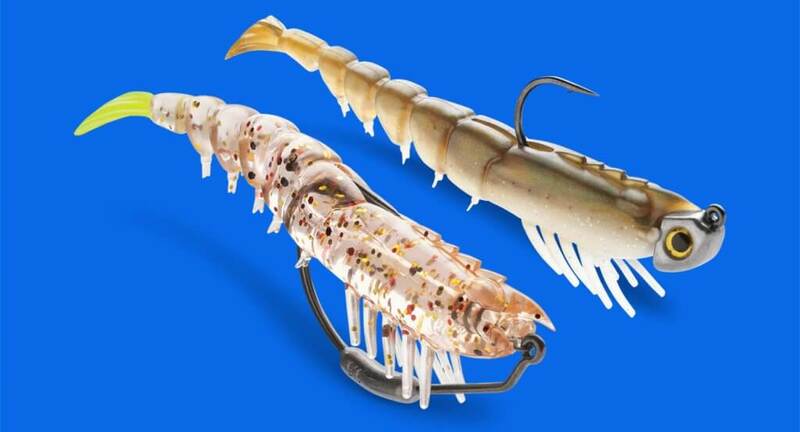 The Storm 360GT Coastal Shrimp is available in eight lifelike colours and two sizes, 3” and 4”. For more information on these and other Storm lures, check out the Storm Fishing website.